What is an arcing fault exactly? General Electric defines an arc fault as "an unintentional electrical discharge characterized by low and erratic current that may ignite combustible materials. "iii These unintentional discharges are what produce the "arcs and sparks" necessary to generate house fires. Arc faults can occur in damaged wiring and electric cords, or in or near a light switch or outlet box. The electrical discharge can either be a Parallel Fault (arcing between the line and neutral conductors), a Series Fault (e.g. broken wire, faulty switch, loose connection, or other single wire condition) or an Arcing to Ground (e.g. loose wires, shorts to ground, frayed wiring abrading metal, etc.). Any of these faults can produce the heat and sparks necessary to cause a home to be completely destroyed by fire. The layman has always assumed that conventional circuit breakers or fuses will protect their home, the wiring and the security of their personal property from all electrical disasters. Litigation regularly occurs involving, circuit breaker and fuse manufacturers, for alleged product defects associated with house fires. The assumption, of course, is that "the circuit breaker should have tripped before my house burned down!" This just simply is not the case. Conventional thermomagnetic circuit breakers and thermal fuses used almost exclusively throughout this country have never been able to detect and stop electrical faults caused by electrical low level arcing. The Underwriters Laboratories (UL) definition of a properly applied circuit breaker is to protect the wiring insulation from overheating due to over currents.iv Since low level arcs, by definition, do not have these over currents, they can not be detected by conventional thermomagnetic means. Until recently, there has been no device commonly available to recognize and stop low-level arcs from occurring in the electrical distribution systems of your home. In fact, there are products we use everyday, which normally generate electrical arcing. These would include appliances incorporating various types of electric motors, hair dryers, electric mixers, vacuum cleaners, hand held power tools and similar devices. Any product designed to detect and react to electrical arcing conditions must be able to discriminate between "good" arcs and "bad" arcs. What causes these types of failures? There are numerous causes of electrical arcing faults. Sources include damaged wiring caused by cable staples used during installation, punctured wire insulation from placing nails through walls, electric cords caught between doors or under heavy furniture, furniture pressed against plugs installed in an outlet, natural aging, and exposure to light or heat. Loose connections in appliance plugs, outlet boxes and switches are also common areas of excessive heating and arcing. During the late 1960's and early 70's, aluminum wiring was used extensively in new home construction and remodeling. It was quickly discovered that this type of wire was 55 times more likely to have one or more connections reach "Fire Hazard Conditions. "vii The use of aluminum wiring was soon discouraged as a substitute for the more traditional copper wires. However, many homes today still have this wiring and have the potential for this higher rate of fire hazard. The classic "sizzling" sound can sometimes be heard around areas of loose or faulty wire connections, indicating that low level arcing may indeed be in process. The AFCI should not be mistaken for the GFCI or ground fault circuit interrupter. These two products serve similar, yet completely different functions. The GFCI is designed to protect people from severe or fatal shock hazards, while the AFCI, as previously stated, protects property against fires caused by electrical arcing faults. The GFCI can also protect against some electrical fires by detecting arcing and other faults between the line or neutral wires and ground. The GFCI can not detect the hazardous series or parallel arcing faults, which can cause fires. A ground fault is an unintentional electrical path diverting current to ground. A ground fault occurs when current escapes outside the normal flow within the circuit, usually flowing outside the circuit to ground. If a person's body happens to provide that pathway for the current flow, the person could be injured, burned, severely shocked or electrocuted. The GFCI is designed to interrupt the circuit by opening the circuit breaker contacts when current of more than 4 milliamps is detected as missing out of the circuit. This value of current is less than the lethal dose of electricity for a human body and furthermore the skin can absorb this level of current without serious electrical injury or burns. It should be noted that manufacturers of the AFCI are incorporating the GFCI functions within the same circuit breaker package, making safety a very real issue, for both homeowner and property. The NFPA 70 National Electric Code, 1999 Edition, an electrical standard used by most municipalities for electrical wiring, requires that AFCI's be used for receptacle outlets in bedrooms, effective January 1, 2002. Although this requirement is limited to only certain circuits in new residential construction, AFCI's should be applied to other circuits in new and existing homes. The code writers of the NEC obviously believe that the bedroom is the area where much low level arcing and subsequent fires take place. That area of our home contains combustible cotton materials in and around the bed, that if exposed to electrical arcing would potentially cause catastrophic results. This writer asks the question, what about the cotton fabric curtains we have hanging on windows throughout our homes, many times covering electrical outlets in the room or the cotton material that is on the sofa pushed up against the wall outlet in the family room? These objects are just as susceptible to arcing fire damage as bedsheets and mattresses. Hopefully, the code will be expanded to all circuits of our homes in three more years when the next issue of the NFPA 70 National Electrical Code is due to be published. We haven't actually sparked our last house fire, unfortunately there will be much more property damage and even loss of life as a result of low level arc faults. There is, however, a device available to the average consumer that is easily installed by a licensed electrician, which can and will minimize property damage as a result of electrical arcing. These AFCI's can be installed in present circuit breaker panels and will provide instant protection against a major killer the US, electrical fires resulting from low level arcing. The next time you or your firm must address an electrical house fire issue, with the associated property damage and perhaps even loss of life, ask yourself, was an ACFI in place? If the answer is no, then ask why not, should there have been? They are here to protect property and lives. Gene Haynesis a 1980 graduate of Florida Atlantic University in Electrical Engineering. He has twenty years of product design and manufacturing experience in Circuit Protection and Automotive Electrical products with Fortune 50 companies. He is a partner in Auto Fire and Safety Consultants and is the founder of MATRIX Engineering. Gene resides in Pensacola, Florida and regularly consults in electrical/electronic matters. 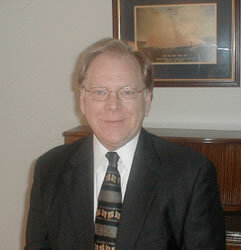 See Mr. Haynes' Profile on Experts.com.